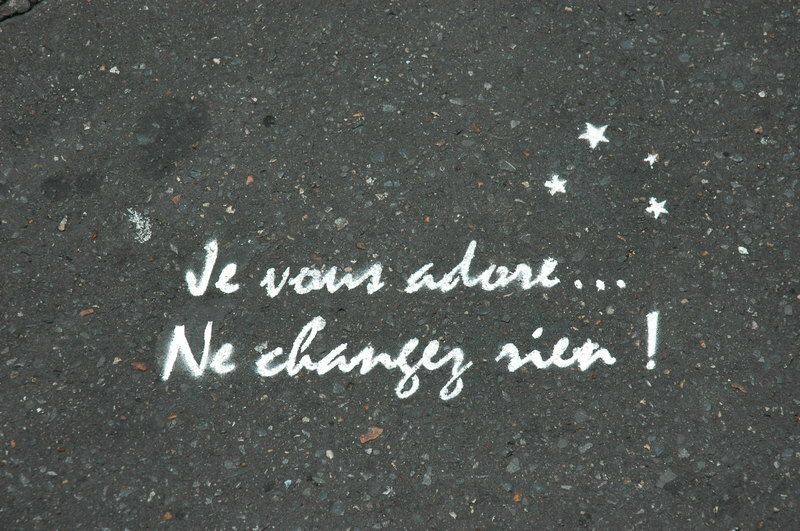 Paris is filled with sidewalk "art": messages, advertisements, funny cartoons of one sort or another. 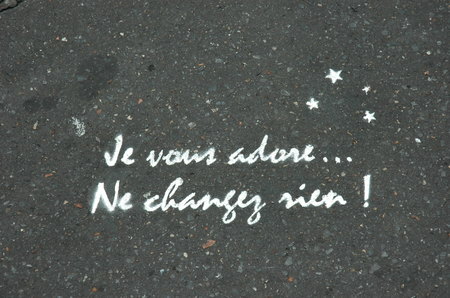 I discovered this on the trottoir as I was flying on winged feet to meet My Parisian yesterday... "I adore you... Don't change a thing". I've been hearing this a lot lately... oh, lucky, lucky me. But perhaps I am not the only one who is experiencing a sudden and unexpected surge of l'amour, toujour l'amour. I know nearly all of my single friends have been meeting very nice men lately, too. Which makes me wonder... what it is about October in Paris this year?